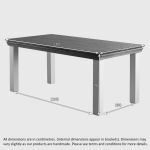 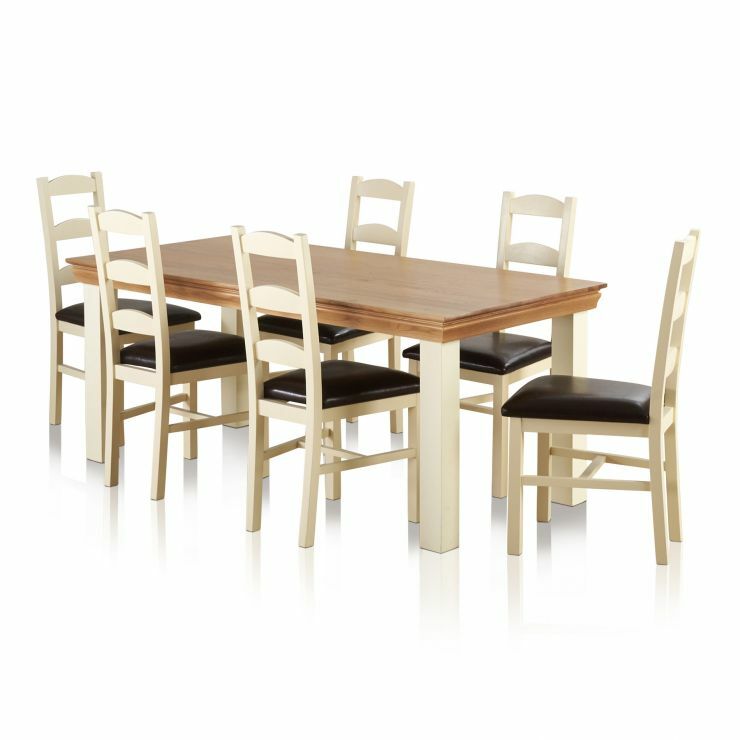 The beautiful 6ft Country Cottage dining table will comfortably seat six people. 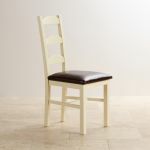 It’s teamed here with 6 matching ladder back chairs with brown leather seat pads. 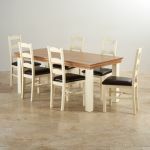 This solid hardwood dining set would be at home in a country kitchen or a smart dining room. 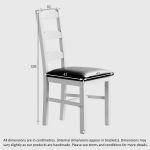 Don’t forget, you can order an extra set of seat pads from only £99 to make a change, with the seasons, when you decorate, or for special occasions. 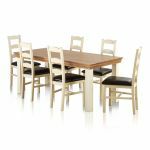 Customise your dining set by using our dining set builder. 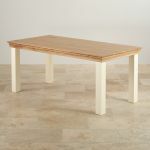 With 11 fabric and 4 leather seat pads to choose from, you’re bound to find the right look for your home.